What is the largest international music and arts festival in the United States? It's not SXSW, Coachella, Bonnaroo, or the Governors Ball. It's not even the New Orleans Jazz & Heritage Festival. Although, if that was your answer, you at least guessed the right state. The largest international music and arts festival in the United States is Festival International de Louisiane. 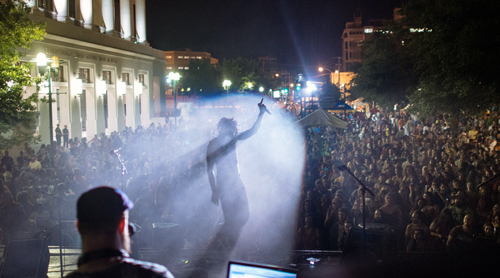 his amazing event is held outdoors, in downtown Lafayette, Louisiana and occurs in late April. 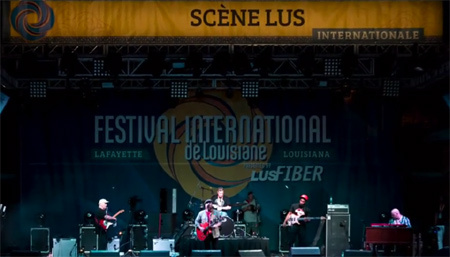 In 2018, the Festival International de Louisiane takes place from April 25 through April 29. The best thing about this annual event, which was first held in 1987, is it's free. You can, however, buy passes that allow access to premium viewing areas, plush bathrooms, and express beverage lines. Organizers focus on the connection between the region's French-speakers and the Francophone world. In other words, the festival celebrates Southern Louisiana's French heritage. Every year, more than 300,000 revelers attend the festival. To ensure that you don't miss the act you really want to see, ample parking is available at Cajun Field on the corner of Congress and Cajundome Blvd. From there, you can take a shuttle, sponsored by Service Chevrolet Cadillac, to the festival. There are also several buses serving the downtown area via the Barry Street/Lee Street stop. On Thursday, the last bus leaves at 11:30pm; on Friday and Saturday, it's 10:30pm; and on Sunday, it's 8pm. The Festival International de Louisiane books an eclectic mix of musical performers. Artists hailing from America to Zaire, and all points in between, are tapped to entertain and inspire. Past performers include Clarence "Gatemouth" Brown, Buddy Guy, Ladysmith Black Mambazo, John Mayall, Aaron Neville, Allan Toussaint, and Buckwheat Zydeco. In 2018, organizers have booked acts like Canadian Lisa LeBlanc and her spirited “trash folk;” Lafayette's own Zachary Richard, who combines Cajun and Zydeco music; and blues singer/guitarist Samantha Fish. Musicians perform on seven stages. 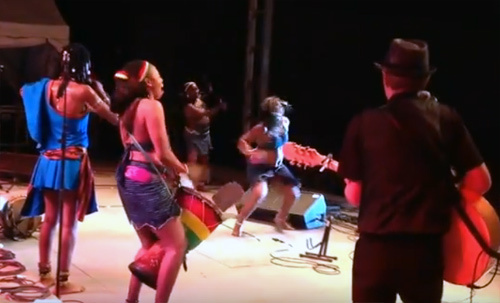 The concert portion of this five-day festival culminates with an epic jam session. Besides live tunes, the festival also hosts theater productions and a wide variety of performing arts. As you might imagine from a free event, the Festival International de Louisiane is family-friendly. hildren will be able to enjoy age-appropriate music, create art, learn about other cultures, and get their face painted. Dozens of vendors will be on site to sell their wares and display their talent. Vendors range from jewelers, instrument makers, metal workers, photographers, sculptors, wood workers, and artists. These artists work in ceramics, fiber, glass, mixed media, and traditional media. There's not only a lot to see and do at the Festival International de Louisiane, but a lot to eat and drink as well. More than 30 food vendors will set-up their stands to quench thirsts and satiate appetites. Enjoy regional cuisine like boudin balls, crawfish, gumbo, jambalaya, poboys, and shrimp dishes. For your sweet tooth, there will be Dutch cakes, ice cream, and shaved ice. And yes, you'll be able to get a slice of pizza. Beer and mixed drinks, especially daiquiris, will also be available. In 2018, the festival is supposed to introduce a convenient RFID wristband payment system. This technology allows event-goers to make cash-less purchases via a wristband. The need to bring cash, or purchase drink tickets, will be eliminated. All music festivals peddle t-shirts and posters, but the merchandise at the International de Louisiane is a special. They're not only great souvenirs but works of art. That's especially true of the festival's official poster. It was created by artist Mollie Wallace, who lives in the 7th Ward of New Orleans. Her beautiful poster is available for purchase. There's even a signed, numbered version. Wallace's opus also inspired a t-shirt and pin. 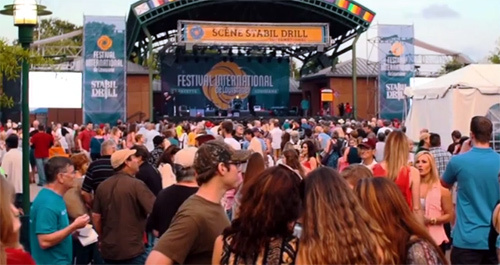 The Festival International de Louisiane is produced by a nonprofit organization. About 90 percent of their staff are volunteers. To pay for the event, organizers raise between $1.1 and $1.5 million a year. They raise this money through corporate sponsorships, contributions, and on-site sales.